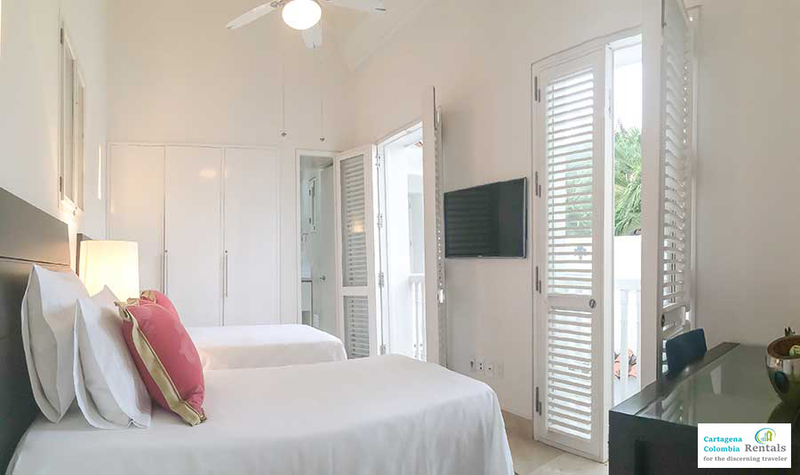 This charming luxury boutique hotel is for is rent in its entirety. 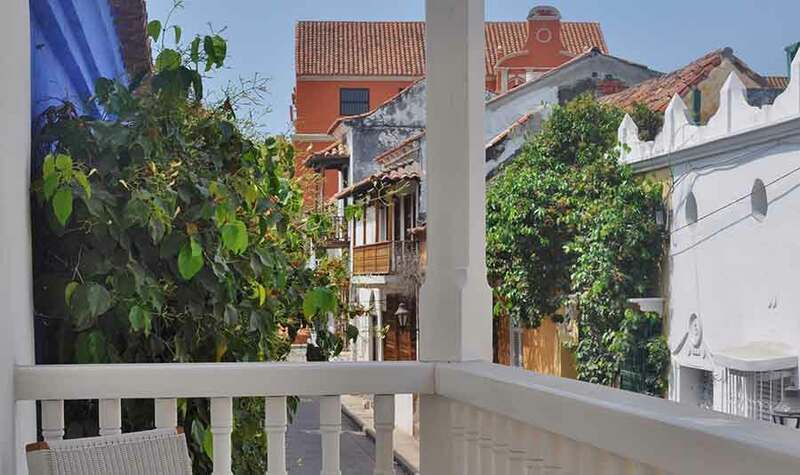 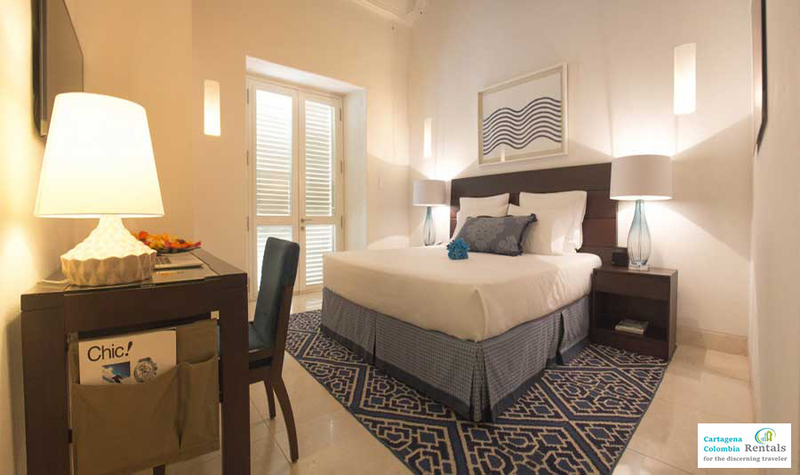 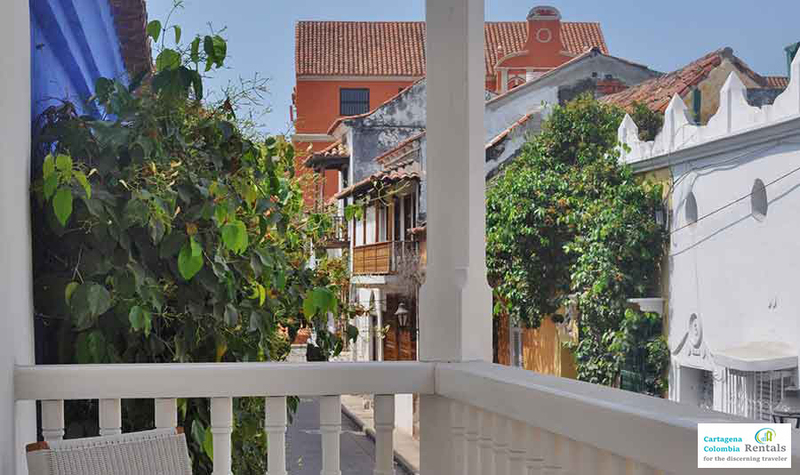 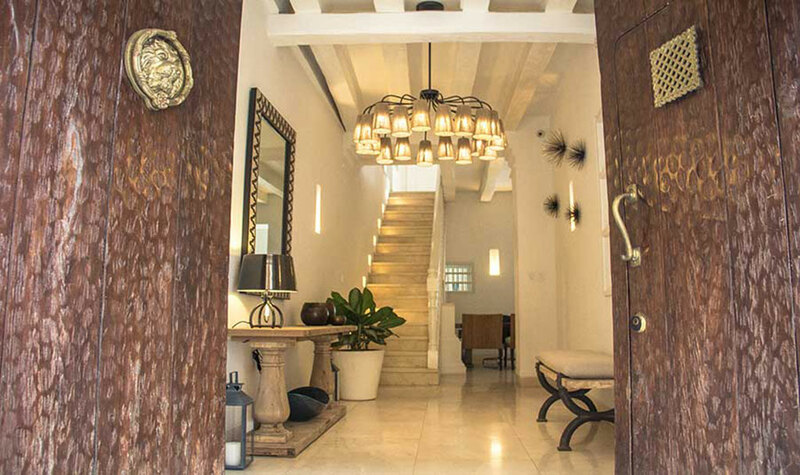 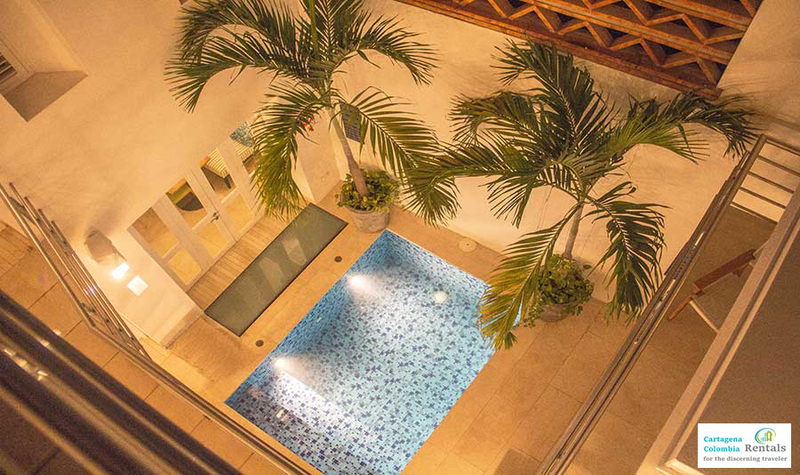 Located in the heart of Cartagena de Indias, this property is one of the most sought after “Casas” we offer. 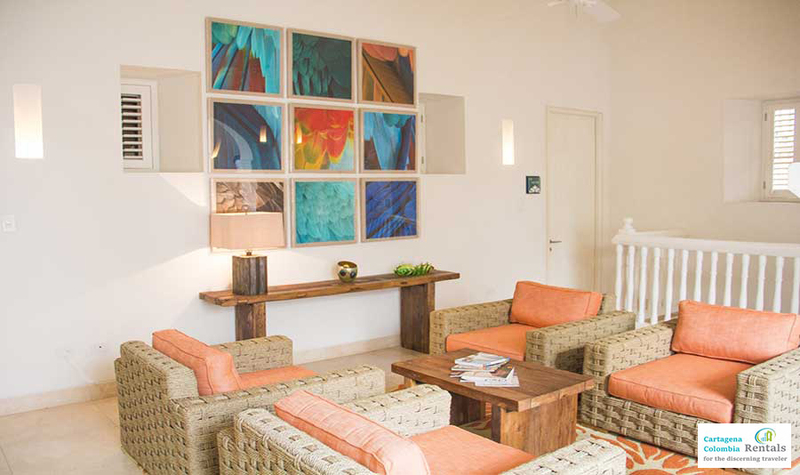 The interior spaces offer chic sophistication with a simplistic color pattern that’s more modern than Colonial. 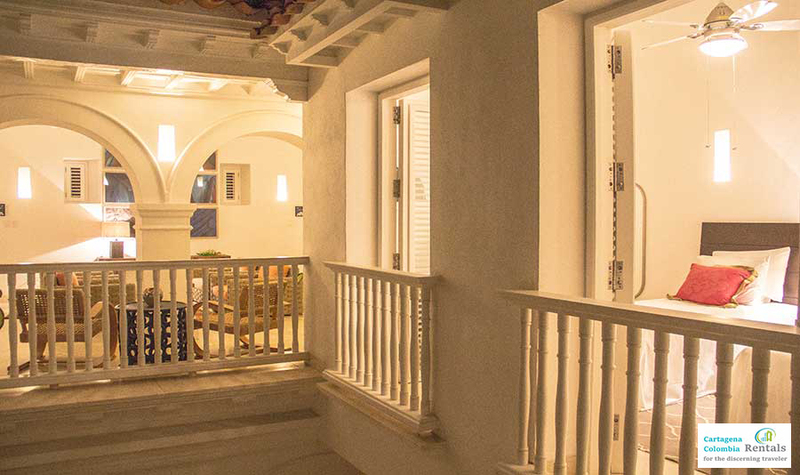 The third floor terrace solarium features a Jacuzzi and is a wonderful place to enjoy an expertly prepared meal under the stars or enjoy the cool sea breezes while sipping icy beverages prepared by the well-trained staff. 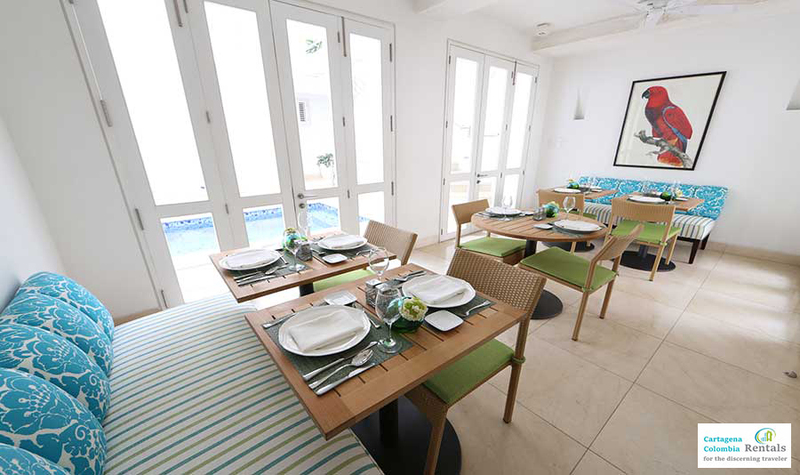 The fully equipped gourmet kitchen is staffed by experts who can tempt even the most discerning foodie’s palate. 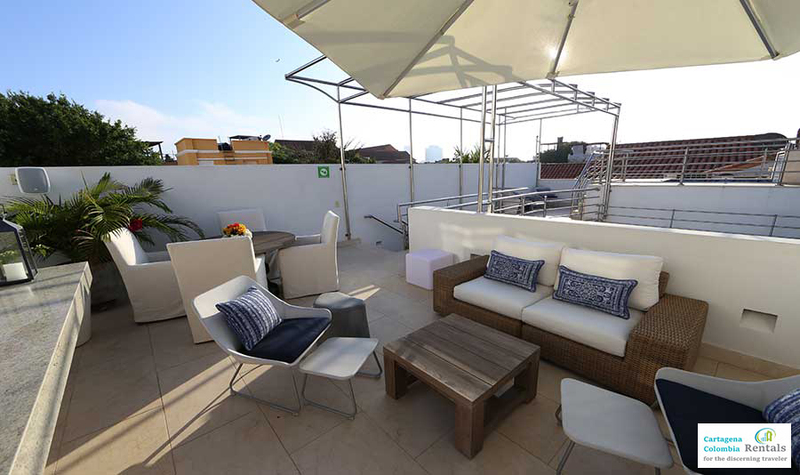 Casa La Cartujita provides daily complimentary American breakfast and food and beverage options throughout the day. 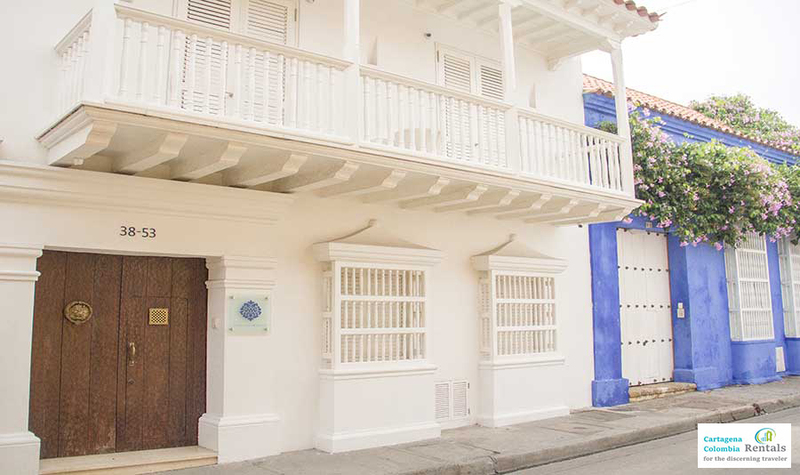 However, guests are able to reserve the kitchen for a one-of-a-kind personalized dining experience unmatched anywhere else in Cartagena. 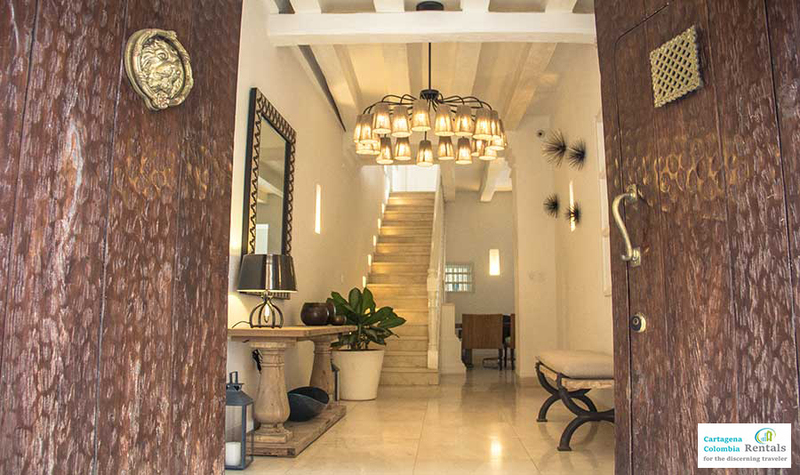 Casa La Cartujita is an intimate space, sleeping up to 14 guests. 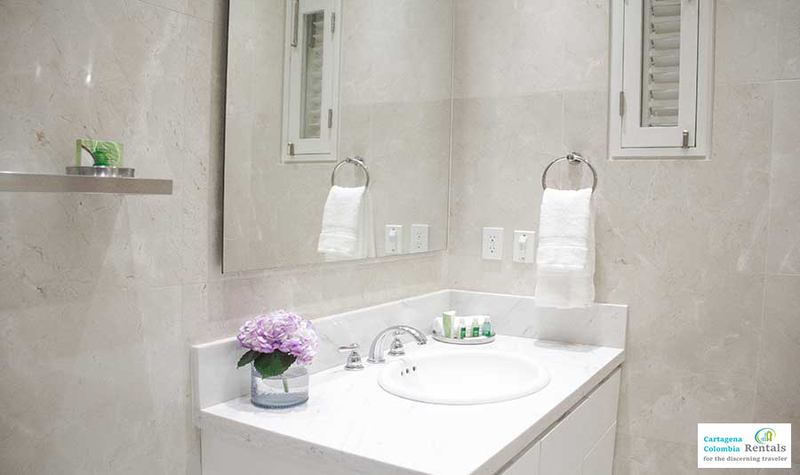 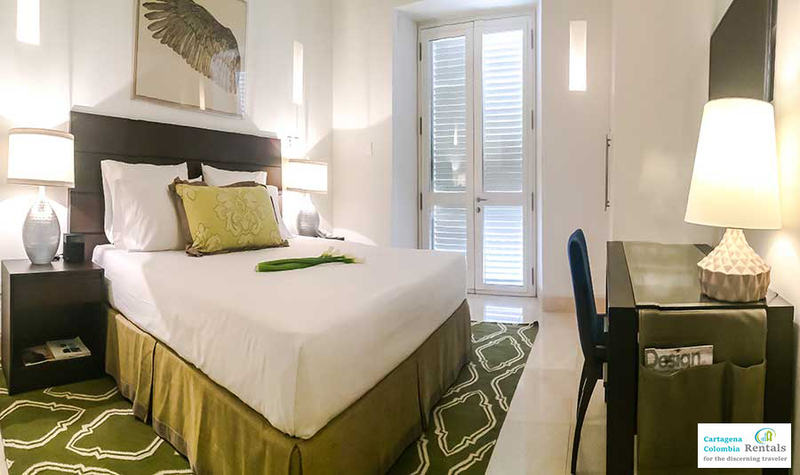 All 7 bedrooms feature private en-suite bathrooms and are fully equipped with 5-star modern amenities, luxurious linens, and elegant fixtures. 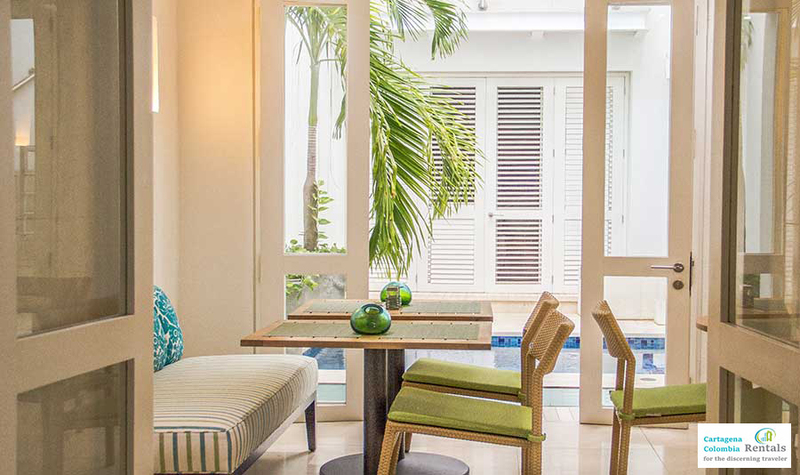 Booking confirmation requires a deposit of 50% of the total rent. 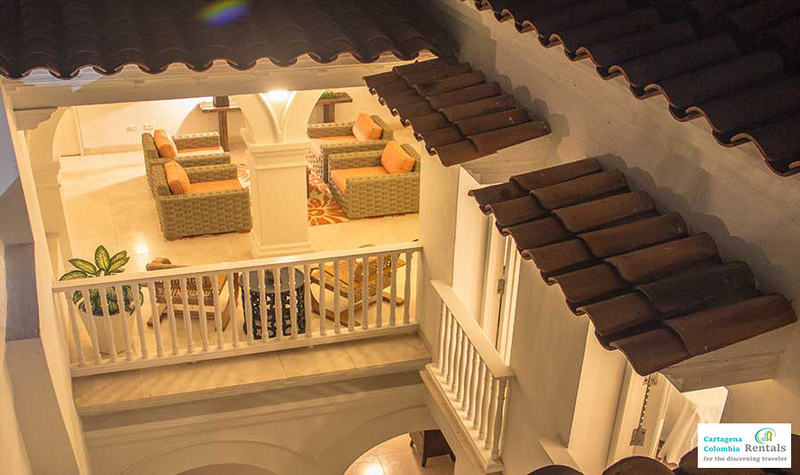 The remaining 50% to be paid 60 days prior to arrival. 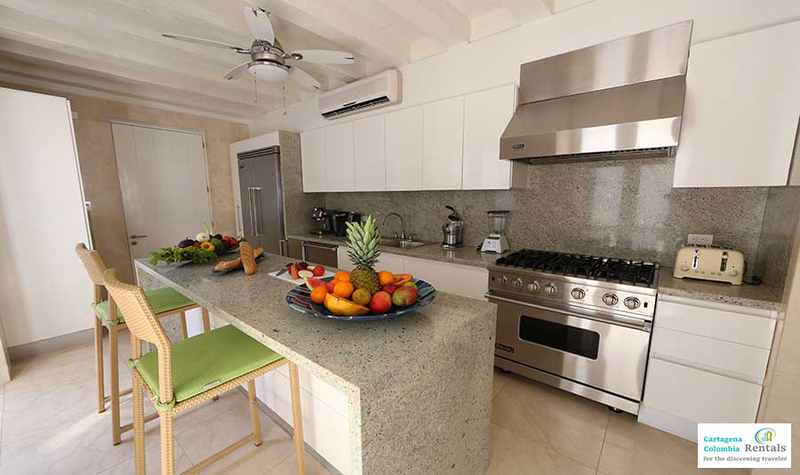 We will be able to help you pre-stock your fridge before arrival at Casa La Cartujita if you would prefer.